Home / All Posts / WriteShop I & II / New trademarks for WriteShop! Last year, we were awarded the registered trademark for WriteShop. It may not sound like that big a deal, but for us, well, what can I say? It’s all such a wonder for two ordinary homeschool-moms-turned-authors-and-publishers! It takes about a year for a mark to go from application to approval, so when we finally did hear from the Patent and Trademark Office, it was pretty exciting! When you see the ® symbol in connection with a name, slogan, or symbol, it means that mark has passed through the application process and has been approved. It is a registered trademark. The TM symbol, on the other hand, does not officially designate ownership. It simply means you claim rights, intend to register the mark, or are in the process. 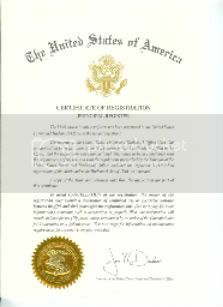 Any time you claim rights in a mark, you may use the “TM” (trademark) or “SM” (service mark) designation to alert the public to your claim, regardless of whether you have filed an application with the USPTO. However, you may use the federal registration symbol “®” only after the USPTO actually registers a mark, and not while an application is pending. Also, you may use the registration symbol with the mark only on or in connection with the goods and/or services listed in the federal trademark registration. FAQ: Is WriteShop a complete grammar program? FAQ: How much time each day? Wow! I know how exciting this must be for you! We waited about 9 months for a simple piece of paper that says our adopted son is a citizen of the US (even though we knew he was before the paper came!) Now, we’re waiting to hear word on our daughter’s application~ sent the same day, but still nothing on her case. Anyway, I think it’s all pretty exciting! I never used to give much thought to things like trademarks. Maybe because we didn’t set out to start a business, each small milestone seems remarkable to us: the first binder printed with WriteShop on the cover, our first Internet sale (how did anyone find us in the vast sea of the worldwide web? ), our trademarks, the first manuscript of WriteShop Primary. Thanks for leaving some love, Heidi, and I share your joy on your children’s adoptions. Debbie’s two children (now adults) are adopted, so I know she’ll especially kvell* with you! *kvell: (Yiddish) To beam with pride and pleasure; Jewish parents are prone to kvell over their children’s achievements.